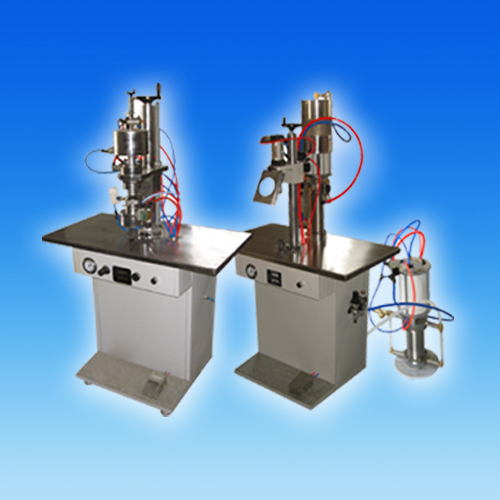 The Model FPG-2Y two-element packaged aerosol bottler is suitable for liquid aerosol products. It combines the cap-crimping and compressed air filling in one step. then fills the content.